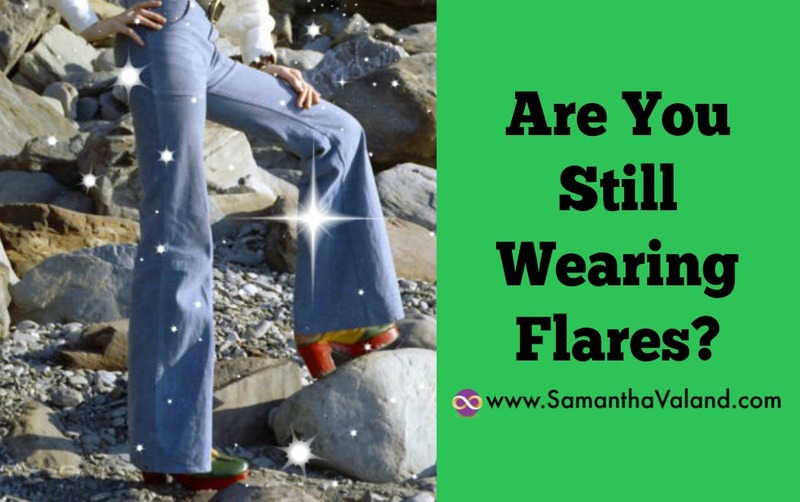 Are You Still Wearing Flares? Are you still wearing flares? Probably not! However the beliefs and values you have around food which were created when you were a child have probably stayed with you. The big one I remember from childhood was to clear your plate as ‘there are children starving’. I know it has stayed with a lot of other women as well who struggle with weight loss as they battle between feeling full and clearing their plates. Clearing their plates often wins. When you are a child it’s quite likely that you would leave a bit of your dinner so you have room for ice cream. However as an adult does that belief still serve you well? Probably not, it’s about food wastage, which isn’t a bad thing. How can we turn it into something productive? Perhaps focus on planning your food so there is very little food thrown out from your fridge. Eating out is often a challenge, perhaps ordering a few starters rather a huge main would work for you? Another belief that is in the news at the moment is about fat. I grew up with the belief that saturated fats (from animals) were ‘bad fats’ and also with the Rosemary Conley ‘Hip and Thigh’ diet which is all about reducing fat – regardless of the type. Fat has 9 calories per gram whereas protein and carbohydrates have 4 calories per gram. So arithmetically it’s an easy food group to cut. Vitamins A, D, E and K are all fat soluble so cutting out fat can also cut out much needed vitamins. Reducing fat can have an impact on your mood as well and has a positive impact when reintroduced. Research in recent years has confirmed that, in moderation fat is not bad for you and it doesn’t matter if it’s animal fat or ‘healthy’ fat. Have a think about meal times when you were a child. Do you still carry habits and beliefs into adulthood? Have you added some of your own – Atkins, gluten free, fasting to name a few. And most important, do they still work for you? If not what can you change?